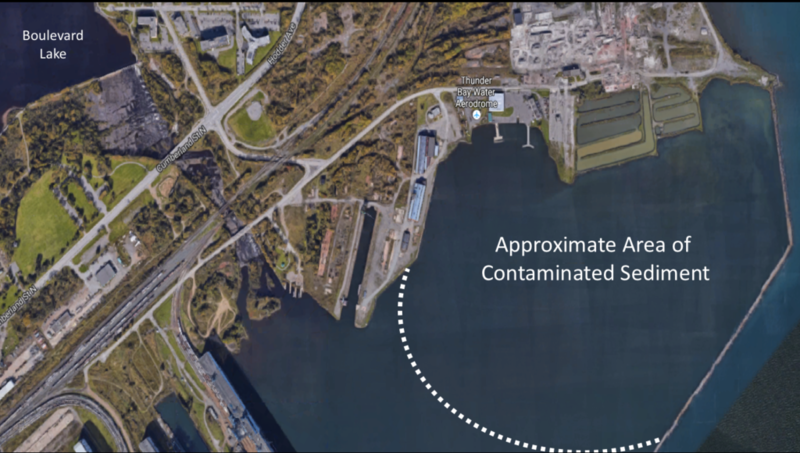 As reported in TB News Watch, a recommendation on the best method of cleaning up 400,000 cubic metres of contamination sediment in Thunder Bay Harbour is not expected until the end of 2019. There’s enough industrial sediment (mainly pulp and paper sludge), containing mercury and other contaminants, on the bottom of the north harbour to fill 150 Olympic-size swimming pools. Thunder Bay is located at the northwest corner of Lake Superior and has a population of approximately 110,000. 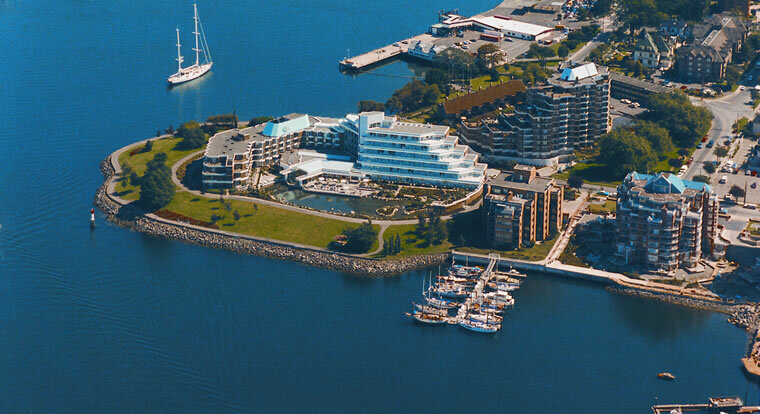 As the largest city in Northwestern Ontario, Thunder Bay is the region’s commercial, administrative and medical centre. It had been known in that past for it pulp and paper mills and as a key shipping port for grain. A new working group that’s revived efforts to manage 400,000 cubic meters of contaminated sediment in Thunder Bay’s north harbour has targeted the end of 2019 for a recommended solution. Two federal departments, Transport Canada and Environment Canada, co-chair the group which also includes the Ontario environment ministry, the Thunder Bay Port Authority and numerous other local stakeholders. A new steering committee has been formed to examine three options for remediation presented to the public in 2014. A previous committee formed to look at those options went dormant, necessitating the refresh. “At this point, we want to further evaluate those [three existing] options and to look at additional options over the next 14 months,” said Roger Santiago, the head of Environment and Climate Change Canada’s sediment remediation group in November of 2018. The group primarily works on cleaning up contaminated patches in the Great Lakes. A previous steering committee was established 10 years ago, and remediation options were developed, but momentum toward a cleanup or remediation of the contaminated site slowed after that. Impetus for a cleanup occurred earlier this year after Patty Hajdu, the MP for Thunder Bay-Superior North, raised the issue with her cabinet colleagues, the transport and environment ministers. 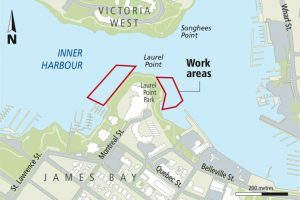 There’s enough industrial sediment, containing mercury and other contaminants, on the bottom of the north harbour to fill 150 Olympic-size swimming pools. The area was classified by a consultant and by federal experts as a Class 1 polluted site using the Federal Aquatic Sites Classification System. Class 1 sites indicate high priority for action. A Transport Canada spokesperson told Tbnewswatch the working group will spend the next 12 months on technical and environmental studies, and will consult with the general public and with Indigenous groups as it evaluates a short list of management options. The source of the contamination is historical dumping of pulp and paper mill pollution that resulted in mercury-contaminated paper sludge up to 4 metres thick lying at the bottom of the harbour. The sediment is contaminated with mercury in concentrations that range from 2 to 11 ppm at the surface of the sediment to 21 ppm at depth and ranging in thickness from 40 to 380 centimeters and covering an area of about 22 hectares (54 acres). A 2017 Consultants report stated that the preferred option was to dredge the sediment and transfer it to the Mission Bay Confined Disposal Facility (CDF) at the harbour’s south end. 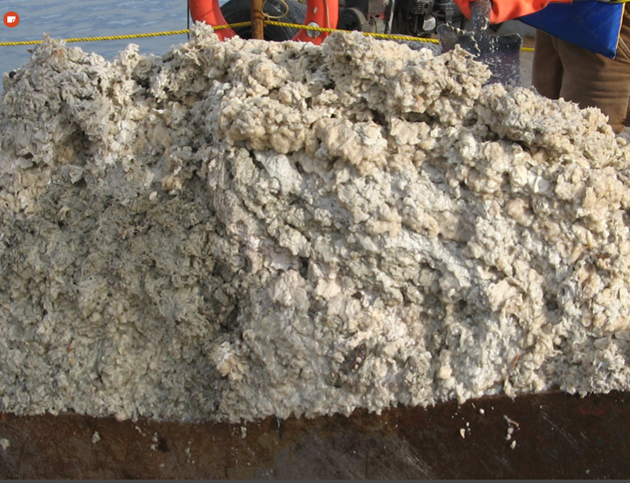 The dredging and transfer option was estimated to cost $40 million to $50 million, and was considered the best choice based on factors such as environmental effectiveness and budget. The consultants also looked at other options, including capping and excavation/isolation. The capping option would consist of placing clean material on top of the contaminated material to contain and isolate the contaminants. A geotextile (a strong fabric barrier) will support the cap material. The budget for this option was estimated at $30-$40 million. The proposed excavation option would involve building a dam to isolate the contaminated material from the water prior to removal. Once the dam was built, the area would be dewatered so that earth-moving equipment like excavators, loaders and bulldozers can be used to remove the material. It would then be disposed of in a secure landfill. A new on-site Confined Disposal Facility has been recommended or the use of the the existing Confined Disposal Facility at Mission Bay. The excavation option is estimated to cost $80-$90 million. No matter what is decided upon, the 2017 consultant’s report estimated it would take seven years to complete the clean up.